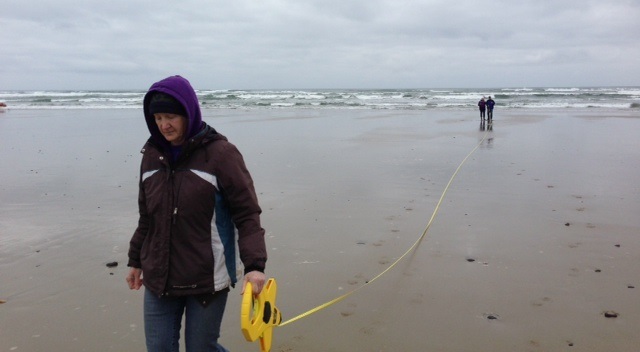 Dr. Chapman was called to Yachats, February 17,2014, where tsunami debris with live organisms was found. 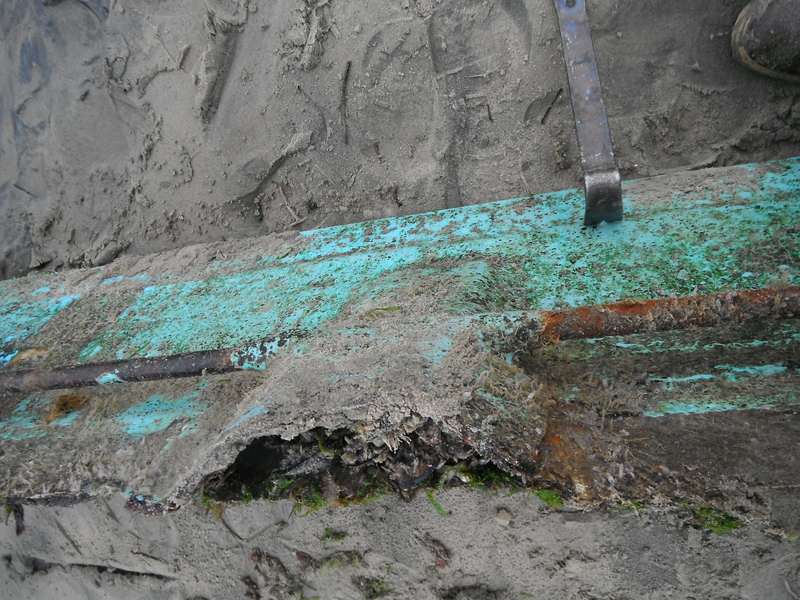 The section of fiberglass boat railing had a plethora of Japanese mussels and other organisms. 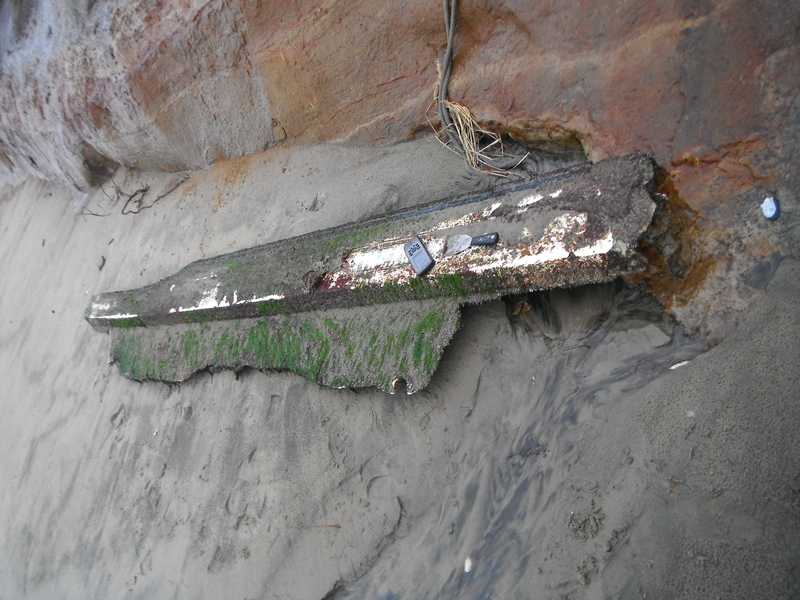 Attached are pictures of the debris and of the sampling technique. 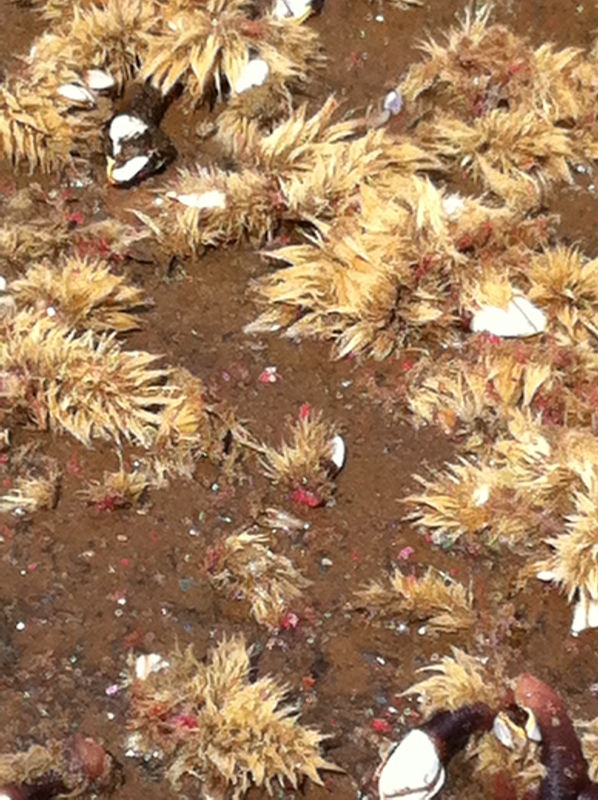 Reminder to contact Chapman’s lab if you find debris with organisms on it. Please call Dr. Jessica Miller (503-939-9812) or Dr. John Chapman (541-961-3258) for questions about animals. 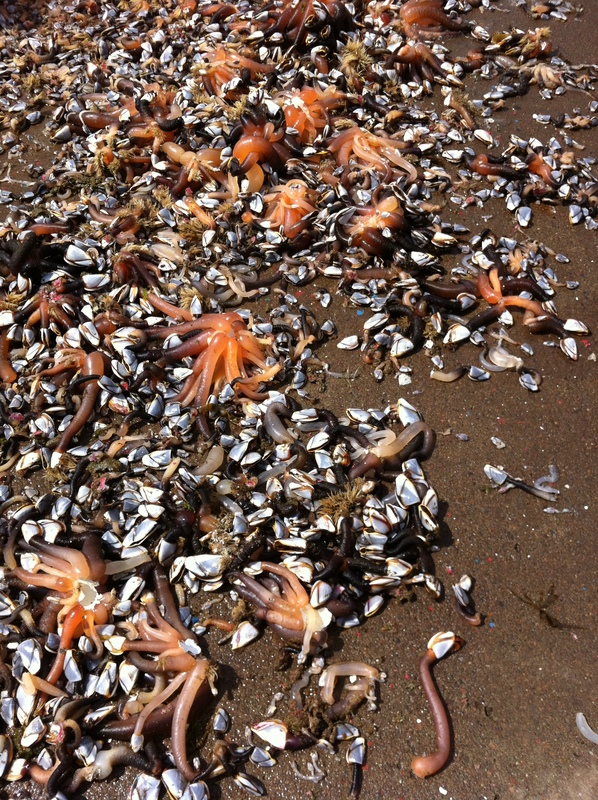 Please call Dr. Gayle Hansen (541-265-4061 (AM) or 541-867-5012 (PM) for questions about algae. 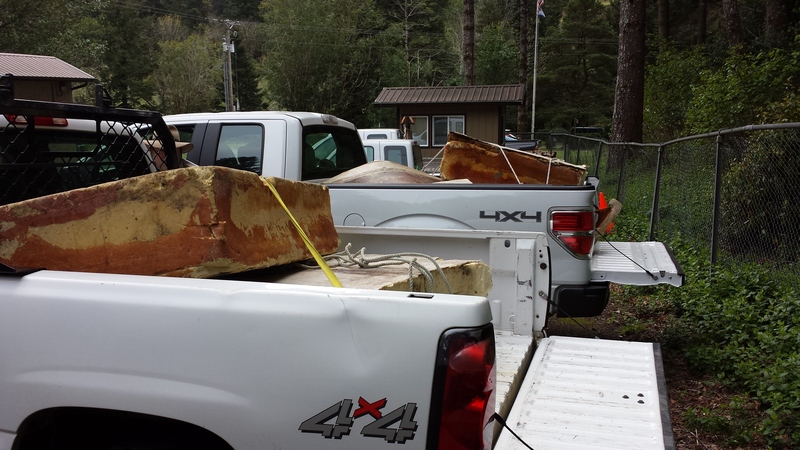 The Oregon Marine Debris Team is seeking volunteer groups to participate in a community grants program which will support monitoring for marine debris. 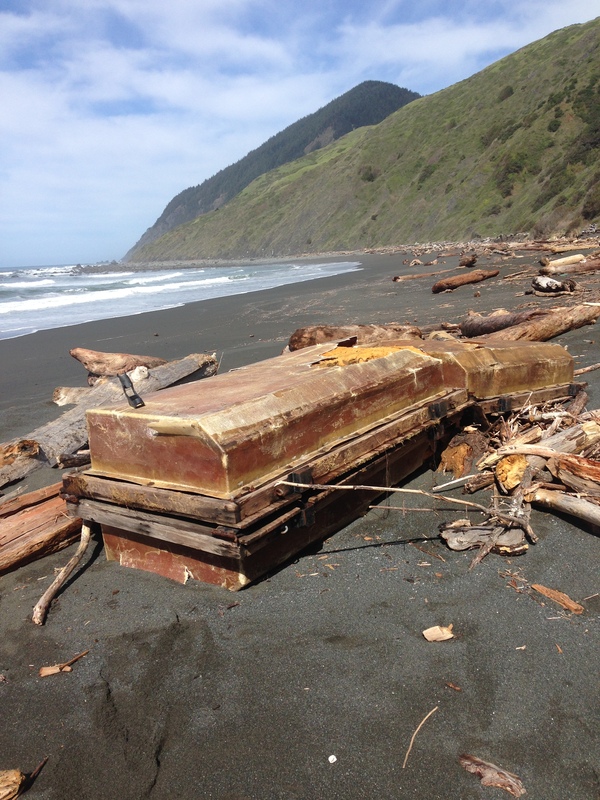 Up to 10 local groups (either existing organizations or teams that unite for this effort) will be awarded $500 to assist them in regularly monitoring and submitting reports on marine debris that washes up at selected sites. The project is part of an ongoing research program of the National Oceanic and Atmospheric Administration (NOAA). Participating groups will employ a “protocol” developed by NOAA to gather data and the types and amounts of marine debris reaching the shore. Monitoring sites are 100 meters (about 325 feet) long, and are selected according to specific criteria. Surveys must be done regularly on a monthly basis. The information collected, using NOAA’s method, is then uploaded onto a website. *Community groups are already engaged in monitoring using the NOAA protocol at sites 5, 8 and 9. 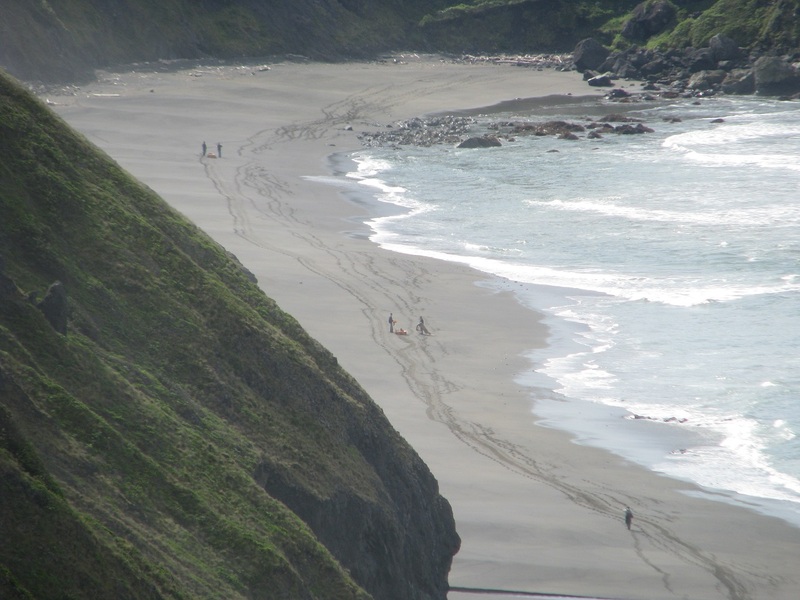 Within each area, preference will be given to proposals for more remote areas with less human traffic and where it is less likely that litter will be picked up between monitoring sessions. No prior experience is necessary. 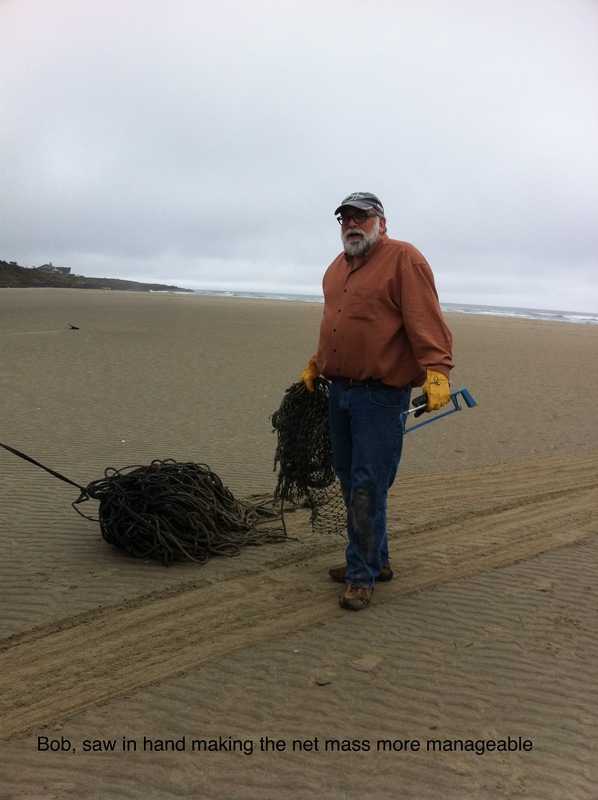 Training and support will be provided by the Oregon Marine Debris Team (OMDT), a partnership among four non-profit organizations—Surfrider, SOLVE, Washed Ashore and the CoastWatch program of the Oregon Shores Conservation Coalition—with the cooperation of Oregon Sea Grant. 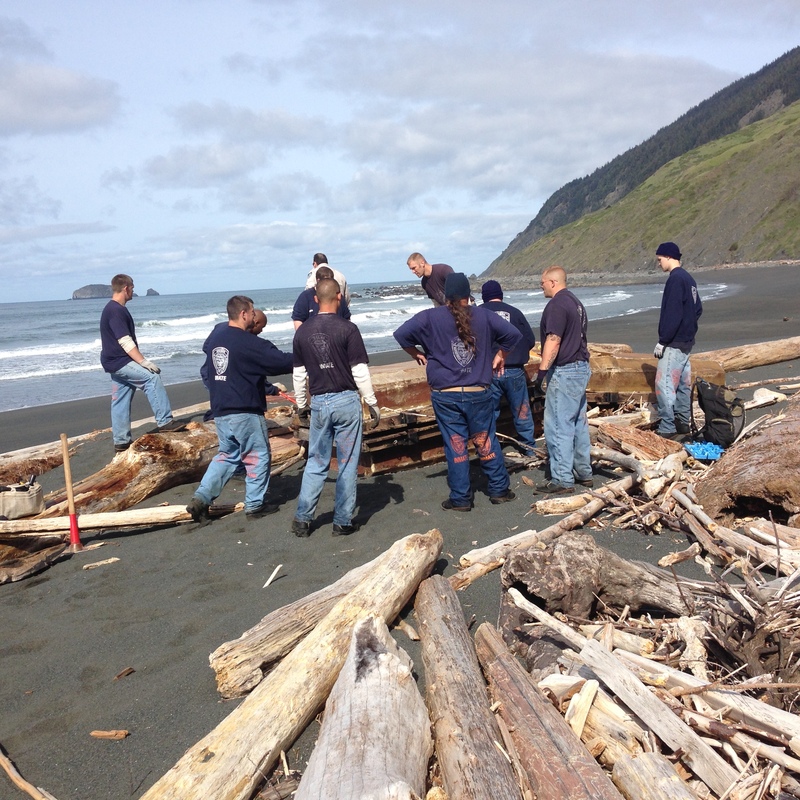 The OMDT was organized to cope with the threat of debris from the 2011 Japanese tsunami, and has a volunteer-based program in place to survey for and clean up tsunami debris. 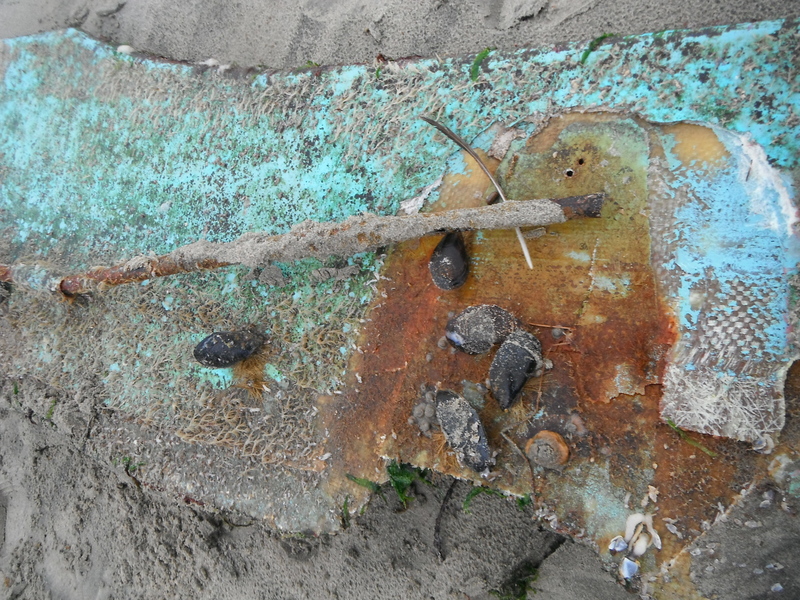 But the partner groups also intend to work together to address the larger, long-term problem of marine debris. 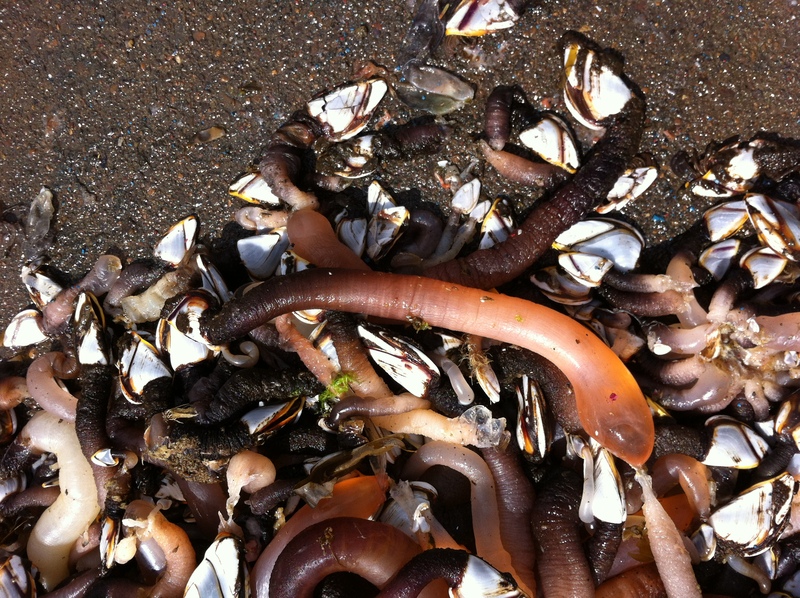 There is little scientific data on how much and what types of marine debris washes up on Oregon’s shoreline. 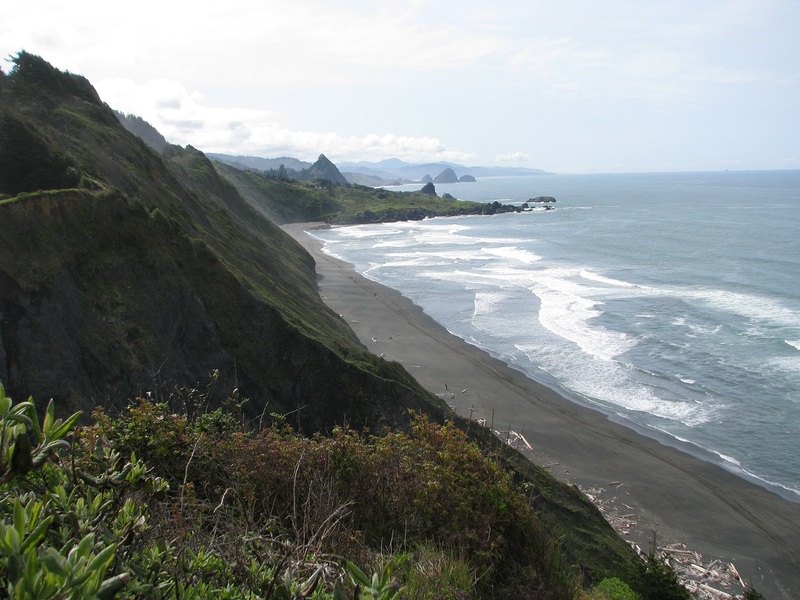 The new research project will collect “baseline data” on debris accumulations in Oregon, part of a national study funded by NOAA. Community grants, intended to help volunteers cover costs of transportation and equipment such as bags, measuring tape, or marker flags, require a commitment to monitor a site consistently for two years, reporting the data according to the NOAA protocol. 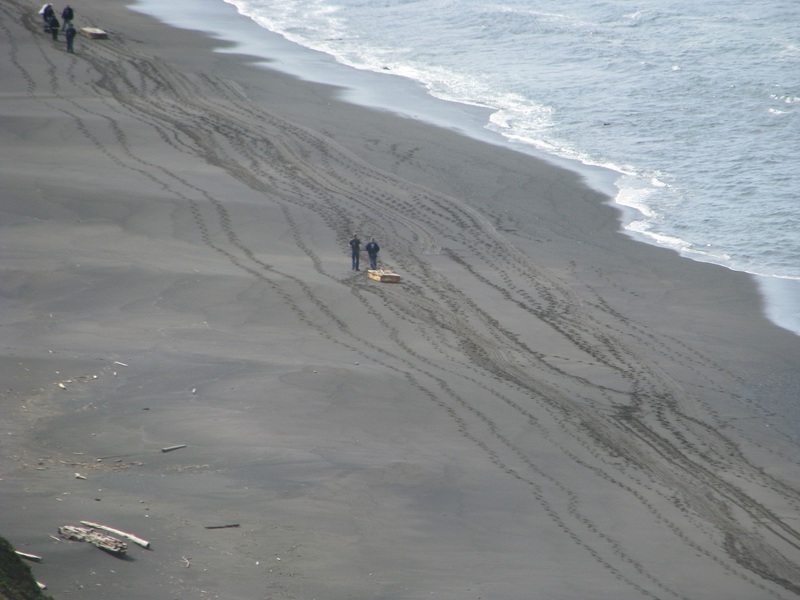 Recipient groups will also be required to send 1-3 members to a training workshop to learn about the monitoring techniques and link up with other groups involved with marine debris monitoring. 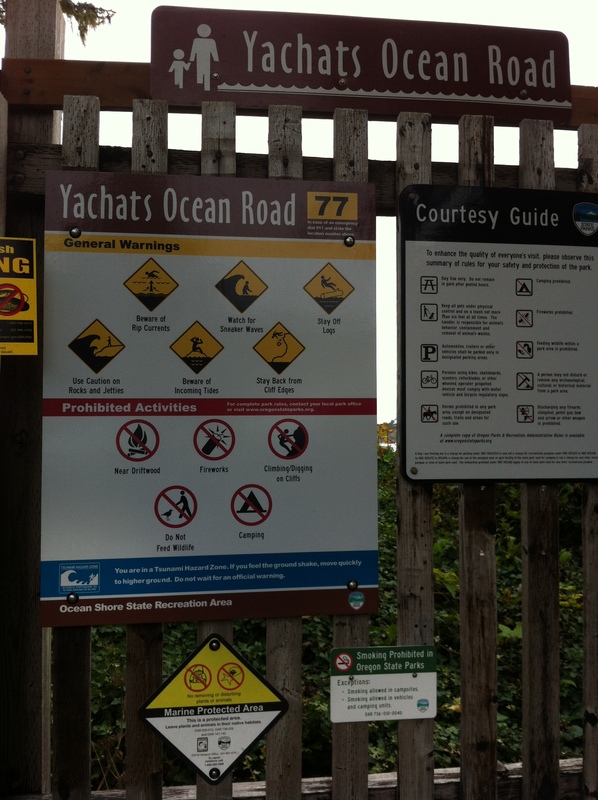 Thank you to the Yachats Academy of Arts and Sciences for allowing me to share our project with their members. 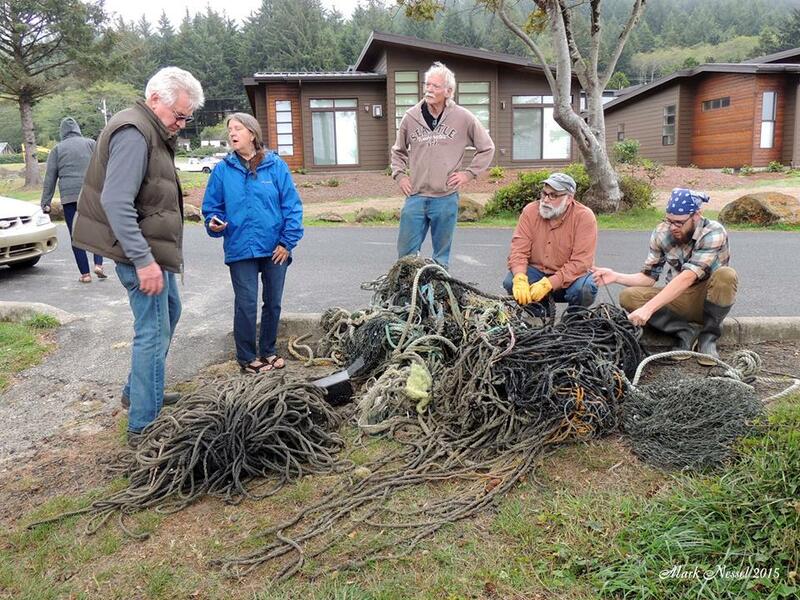 and thanks to some quick responding participants who’d come to my talk about marine debris, a mass of net and rope were removed from the beach at Yachats. Thursday, October 15th, I gave a talk and shared the video ” It’s Everybody’s Ocean”, directed by Atsuko Quirk. 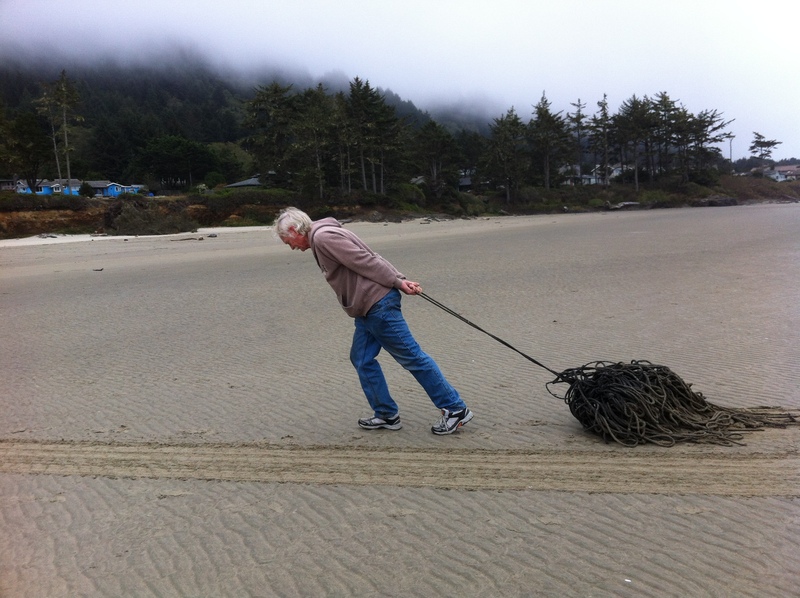 Our goal and the goal of the Oregon Marine Debris Team is to make everyone aware of the amount and types of debris washing up on all of our shorelines. 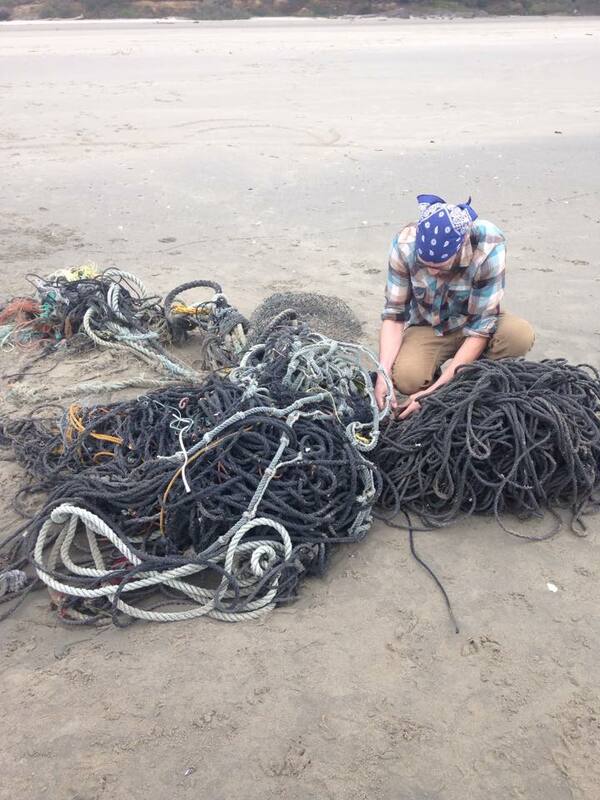 Friday, October 16th, a little after 10am I received the first call from Zach, who said he’d been to the talk the night before and was now on the beach with a mass of netting and rope. 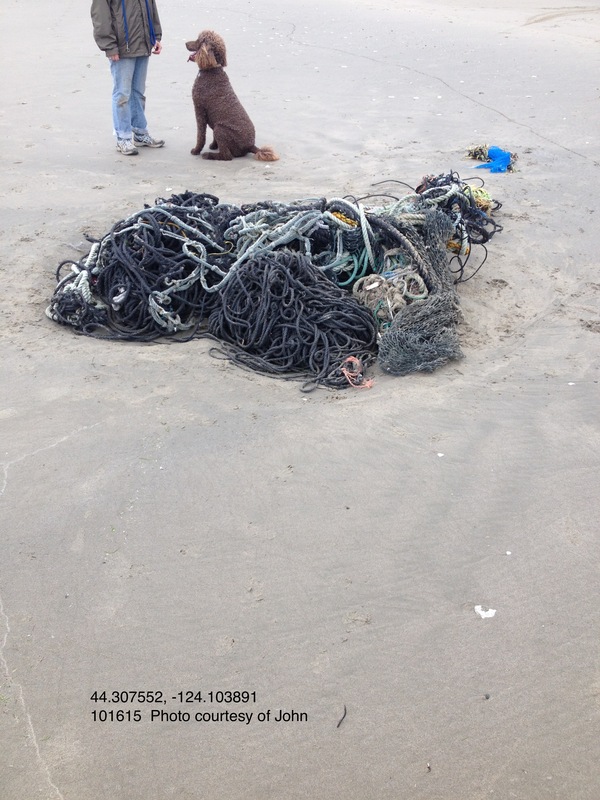 I left a message for OPRD and in the meantime another call came in from John informing me that he’d also been to my talk and wanted to report a large mass of netting and rope on the beach. 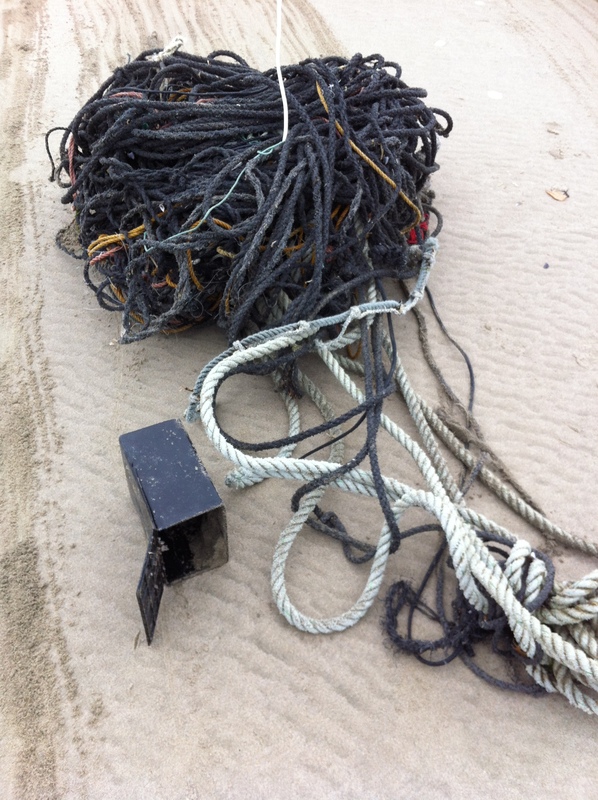 It is a priority to get these masses of rope off the beach before they become even partially buried in the sand. 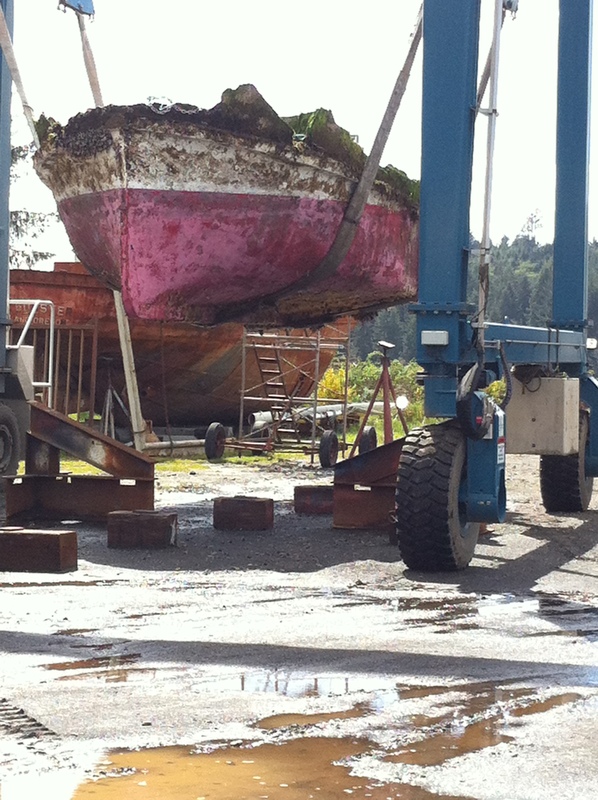 Once that happens, it usually takes a pickup or heavier equipment to get it up out of the sand. After letting John know that I would be heading there within the hour, I spoke with Bea at OPRD to inform her of the rogue net and rope. 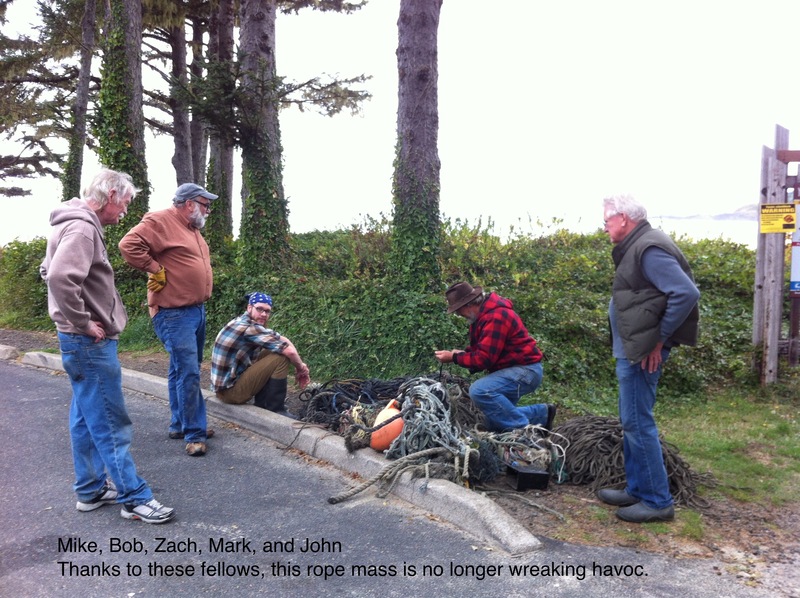 By the time Mike and I got there, Zach, Bob, John and Mark were starting to pull the rope off the beach. Mike helped with the removal of the large pieces and I gathered the scraps. 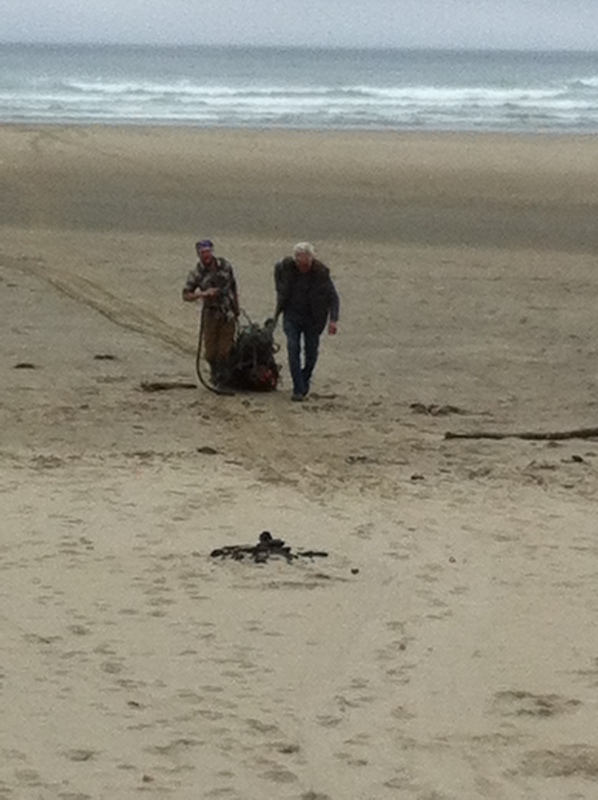 I contacted Bea and sent photos showing the location of the rope mass to be picked up by OPRD. Thank you to these guys for some great teamwork. 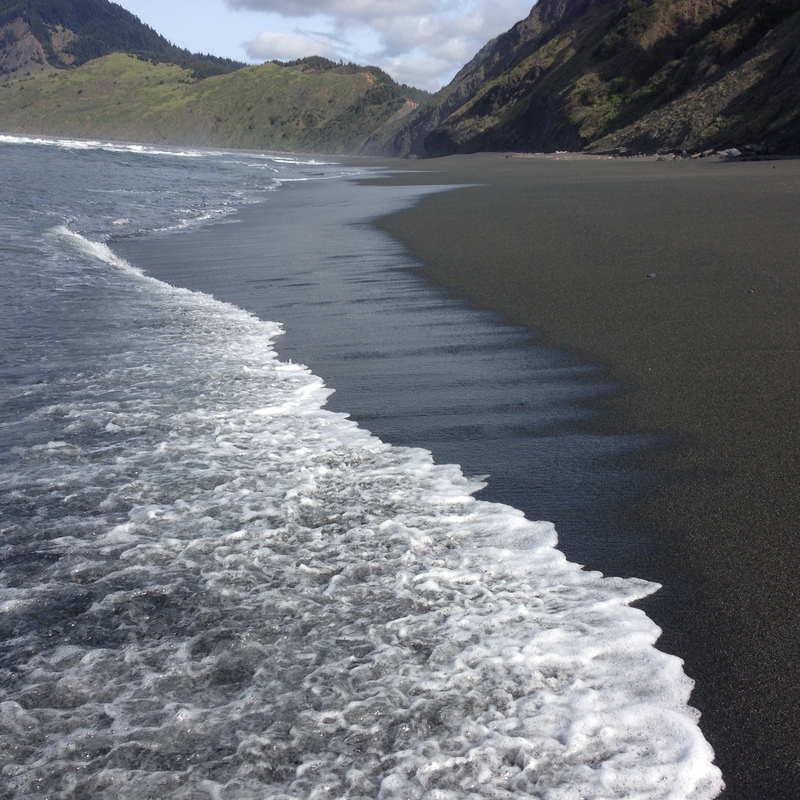 While out on the beach, this Saturday, picking up the debris and keeping our beaches clean, please remember to identify anything you feel my be tsunami related. 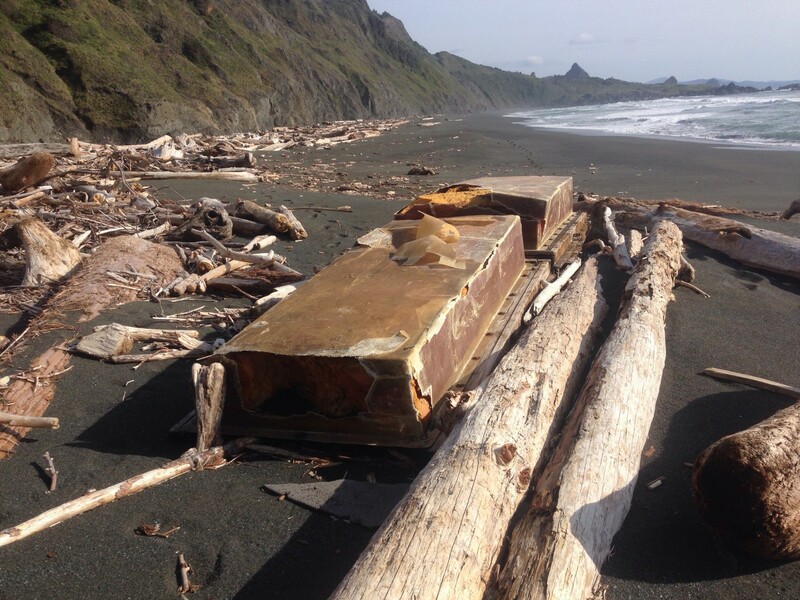 We are still finding items on the beach. Washed Ashore is collecting all the debris but is especially looking for the fish (laundry) baskets, and the hard white plastic. Cindy Lippincott is interested in collecting tooth brushes for a project she is working on. Let me know and I’ll get them from you and to her. Call me if you find anything of concern that needs immediate attention. 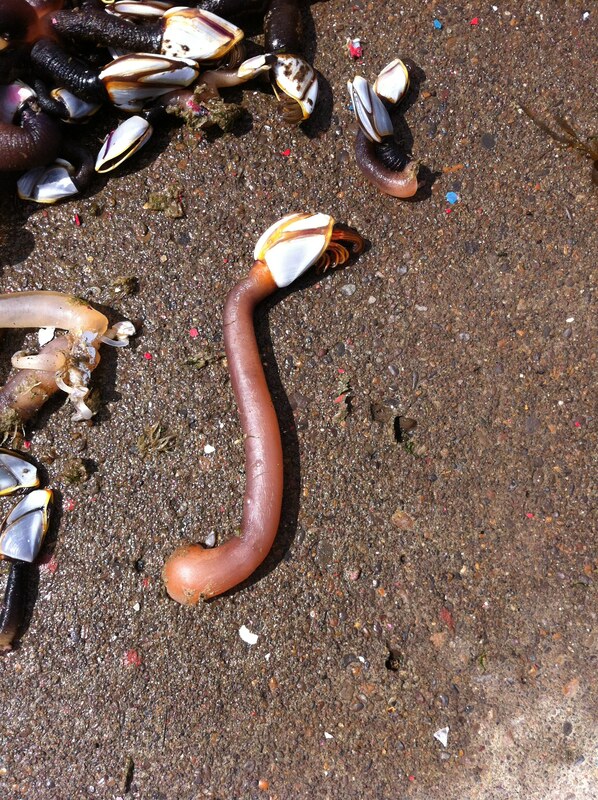 Depending upon tides and schedules. Currently we are doing them the second Thursday or Friday of the month. So our next scheduled monitoring activities are on March 12 or 13 and April 9 or 10. Striped knifejaw caught in crab pot just north of Port Orford. 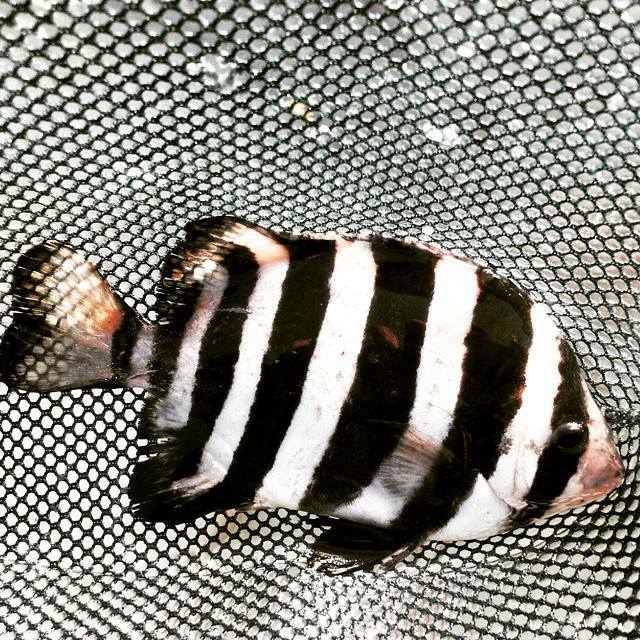 This fish, Oplegnathus fasciatus, is endemic to Japan! This fish is related to the 5 fish that survived the 2 year trip in a Japanese skiff that washed up in Seaside in 2013.